Chris Schenk: The Secret About Talents Only A Handful Of People Know. The Secret About Talents Only A Handful Of People Know. Do you think that if you have a talent your set in life? Do you think if you find out what your talents are early in life you are destined to do better then most others in life? We've met many people who think this way. To be completely honest with you if you find out your talents early in life that is a blessing. Most people struggle and search a part of their lives to find their talents in life. We would even beg to say that some people will tell you they never found their talent in life. 70, 80, 90, years is a long time to search for something and never find it. What if some people just don't have a talent in life? Well my friends I'm here to tell you that is just a bold face lie. Everyone in this life has a talent. Period. You may not know it yet, or you might not have discovered it yet but I can guarentee you that everyone has a talent. So since we know each and everyone of us has a talent does that mean that once we find it we're set for life? To be completely honest with you my friends the answer to that question is "No". We are never set in life. Life is always changing and evovling. The only real constants in life are that life will constantly change, and that one day you will die here on this earth. We know that sounds kind of morbid but let's face it you're reading this post and you're here at this site because you want to learn something and you want the truth. So the truth as we know it has been stated above. But there is a secret that I haven't shared with you yet about talent. Just becuase you have a talent, and just because you might find your talent early in life doesn't mean your talent is going to do anything for you. Yes, you just read that statement correctly, I said "Just becuase you have a talent, and just because you might find your talent early in life doesn't mean your talent is going to do anything for you." The real secret is that through "Hard Work" you can turn your talent into something. Without Hard Work your talent will never be fully realized and you will have wasted your talent. 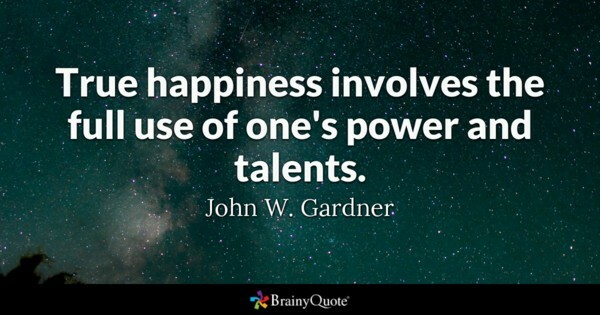 Also even if you aren't given as many talents as others in life Hard Work will always win out over someone who refuses to exercise their talent. Even if they do exercise their talent but they aren't working hard to do so then a person who possesses hard work will always pass the person even if they were granted a talent in a certain area. There is no replacing hard work in life. People are always looking for the "Easy Button" in life. They think if they can just push it once all of their trouble will go away. Guess what life doesn't work that way and there is no "Easy Button" I've ever found as of yet in life. Life isn't something you just do every now and then, or when you want to. Life is a constant struggle. Life is getting up every day and doing the small things so that in the end you will be able to see the large accomplishment. If you plan to go anywhere in this life it is going to take Hard Work. That's the true secret my friends. Hard work will always beat out talent when talent refuses to work. So remember that next time you see someone talented and it looks like they have everything dialed in. If they aren't working hard each and every day to grow and muture that talent in time if you are willing to do the Hard Work you could achieve even more then they can in that area where they have a talent. We know some of you are saying to yourself right now, but why do I want to work hard? If I have a talent shouldn't I be able to just glide through that area of my life? Our answer to you is try it and lets see what happens. We're going to put our money on the person who's in the group who might not have the talent someone else does, but who is willing to work hard each and every day to learn and to grow in this space. We know in the end that person will be the one who will come out ahead. Because we've seen it and witnessed time and time again. Talents are great and they are a gift to you in this life. 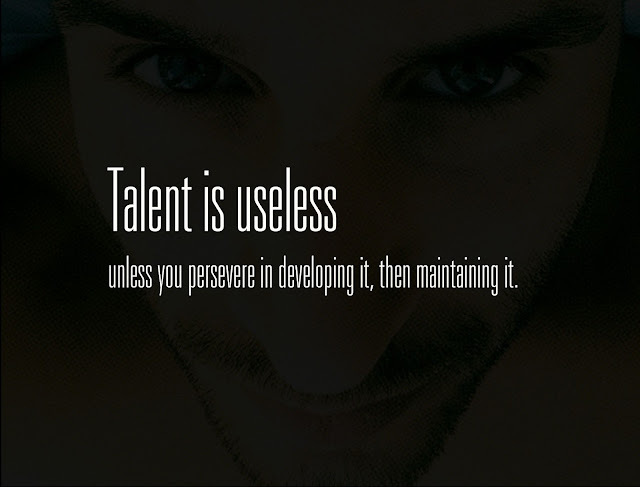 But if you refuse to mix your talents with Hard Work then your talent is useless.